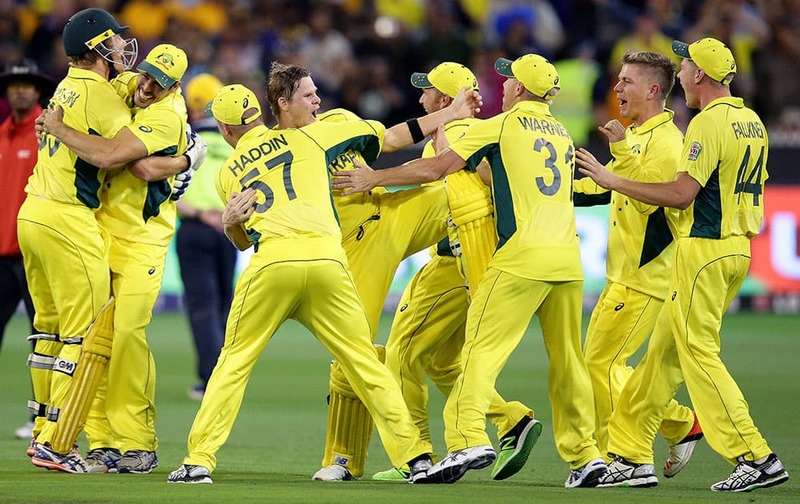 Australian players celebrate after they defeated New Zealand by seven wickets to win the Cricket World Cup final in Melbourne, Australia. Australia's Steve Smith, left, and teammate Shane Watson celebrate after defeating New Zealand by seven wickets to win the Cricket World Cup final in Melbourne, Australia. 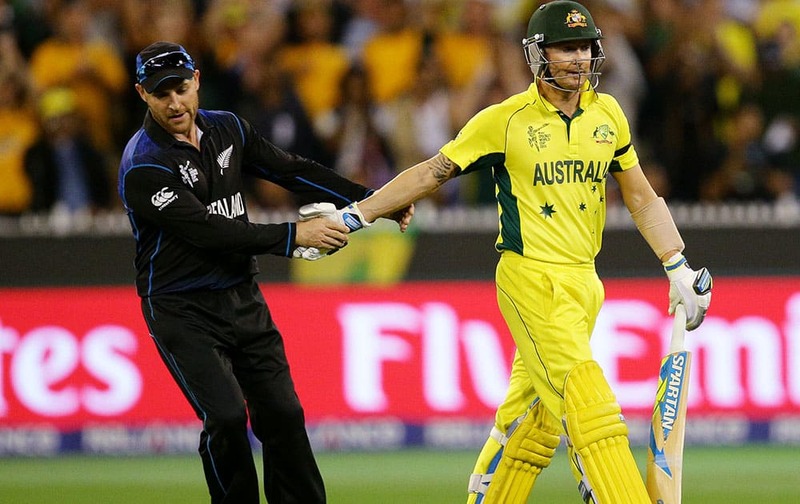 New Zealand captain Brendon McCullum, left, congratulates Australian captain Michael Clarke as he leaves the field after he was dismissed for 74 runs during the Cricket World Cup final in Melbourne, Australia. 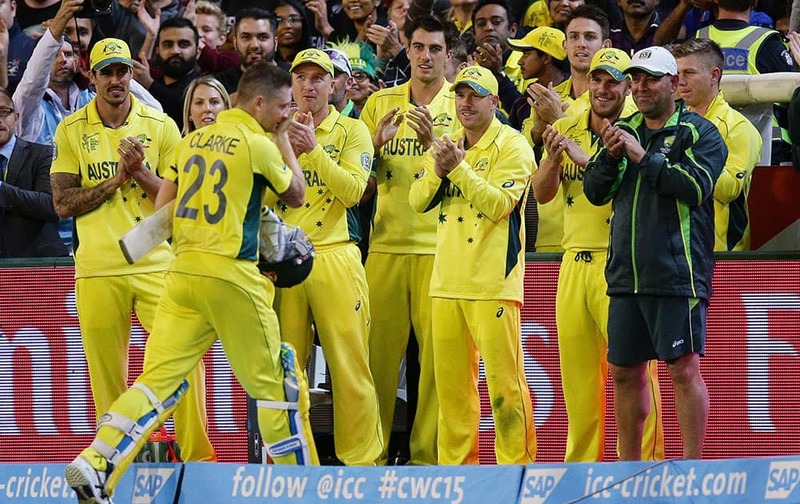 Members of the Australian team clap their captain Australian captain Michael Clarke from the field after his innings of 74 runs while batting against New Zealand during the Cricket World Cup final in Melbourne, Australia. 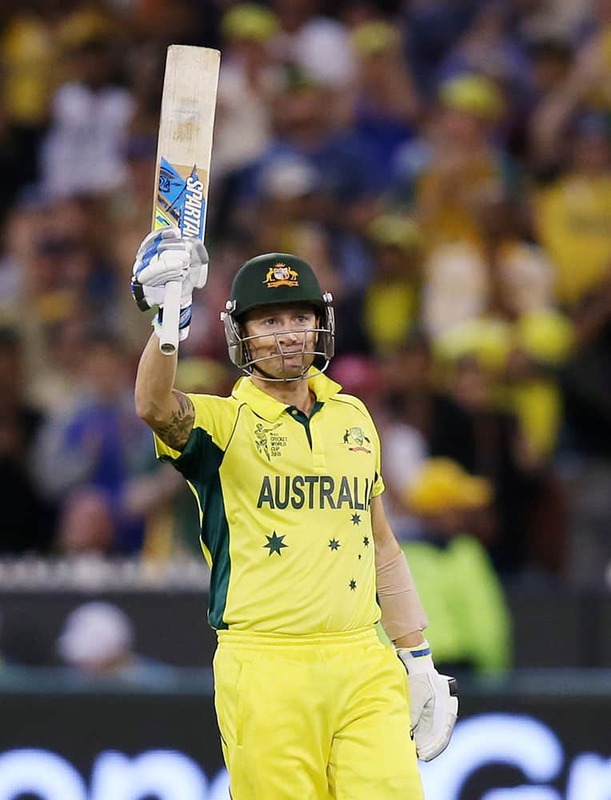 Australian captain Michael Clarke waves his bat after scoring 50 runs while batting against New Zealand during the Cricket World Cup final in Melbourne, Australia. Australian captain Michael Clarke, right, is congratulated by teammate Steve Smith after scoring 50 runs while batting against New Zealand during the Cricket World Cup final in Melbourne, Australia. 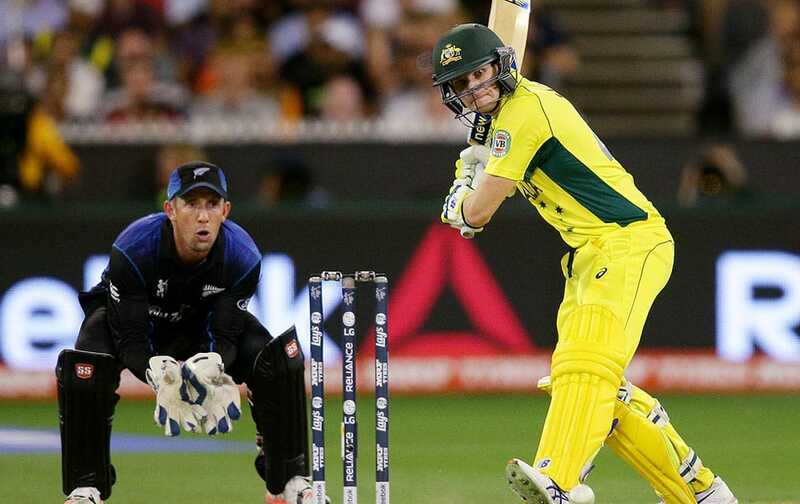 Australia's Steve Smith looks to play a shot as New Zealand wicketkeeper Luke Ronchi watches during the Cricket World Cup final in Melbourne, Australia. 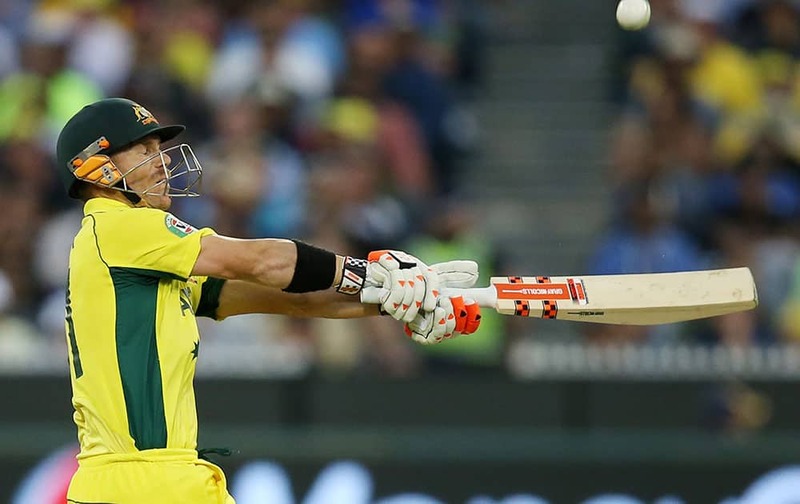 Australia's David Warner hits the ball to the boundary while batting against New Zealand during the Cricket World Cup final in Melbourne, Australia. Australia's David Warner, right, watches as New Zealand’s Ross Taylor dives to field the ball during the Cricket World Cup final in Melbourne, Australia. 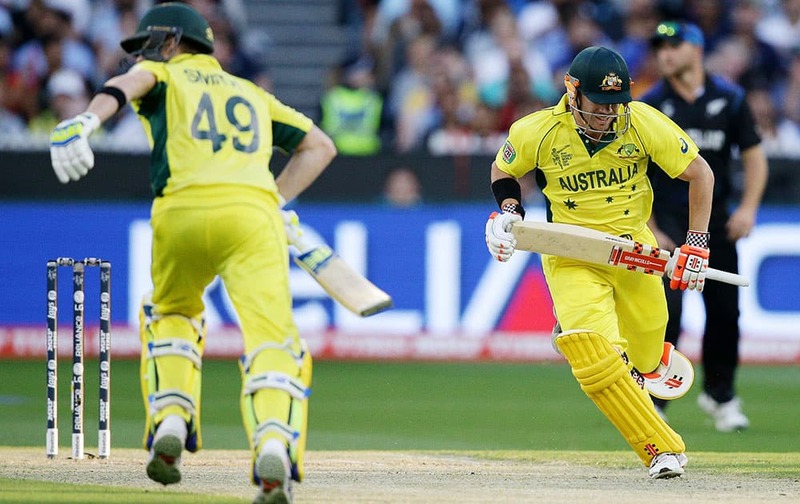 Australia's David Warner, right, and Steve Smith run between the wickets during the Cricket World Cup final against New Zealand in Melbourne, Australia. 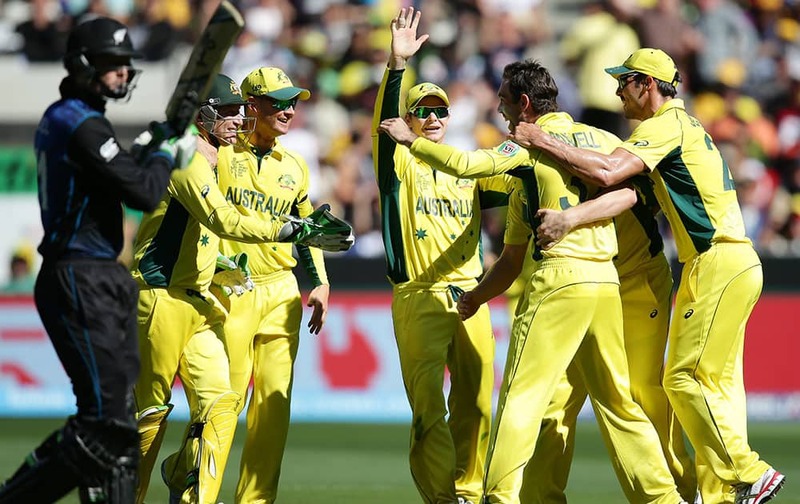 New Zealan's cricketers watch Australia's Aaron Finch walk off the field after being dismissed during the ICC Cricket World Cup final in Melbourne, Australia. 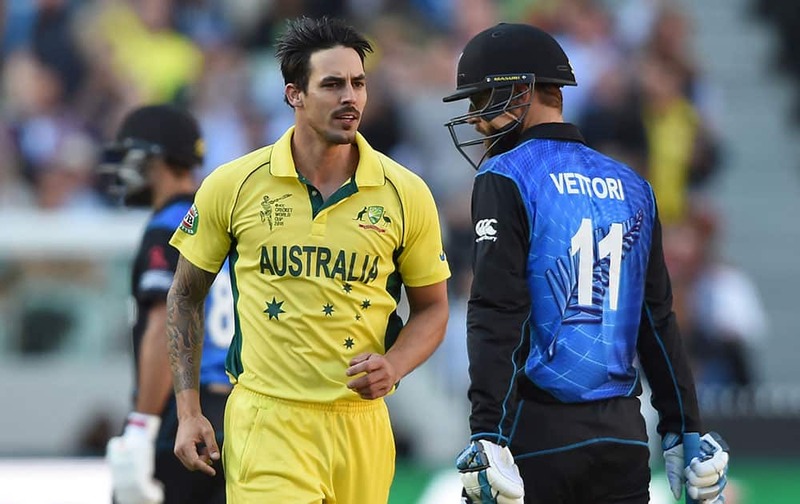 Australia's Mitchell Johnson runs past New Zealand’s Daniel Vettori after dismissing him during the ICC Cricket World Cup final in Melbourne, Australia. 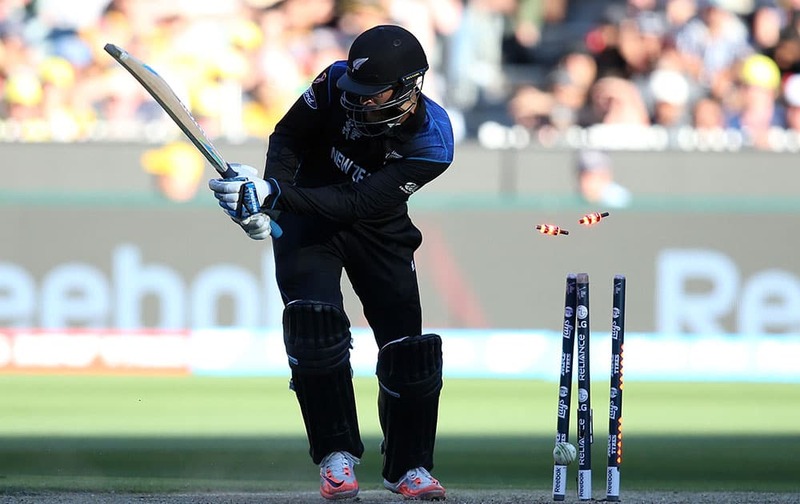 New Zealand’s Dan Vettori is bowled out for nine runs while batting against Australia during the Cricket World Cup final in Melbourne, Australia. 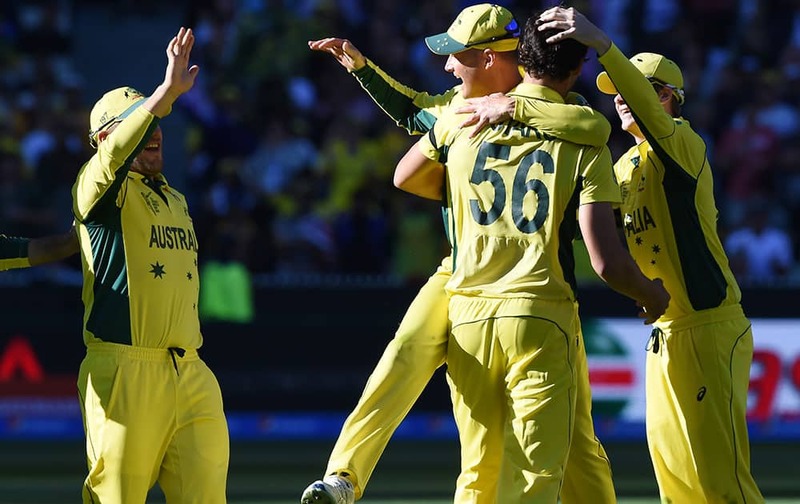 New Zealand’s Grant Elliott, left, chats with Australian players Brad Haddin, second left, and James Faulkner as Pat Cummins, right, celebrates after he was dismissed for 83 runs during the Cricket World Cup final in Melbourne, Australia. 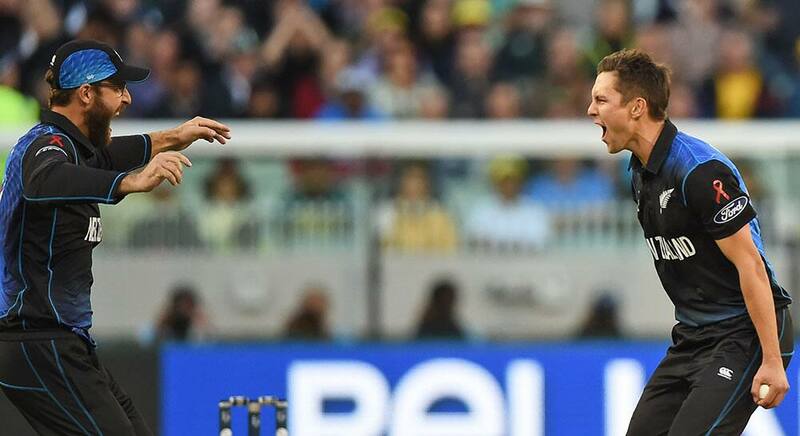 Australia's James Faulkner, appeals successfully for the wicket of New Zealand’s Ross Taylor, right, during the Cricket World Cup final in Melbourne, Australia. 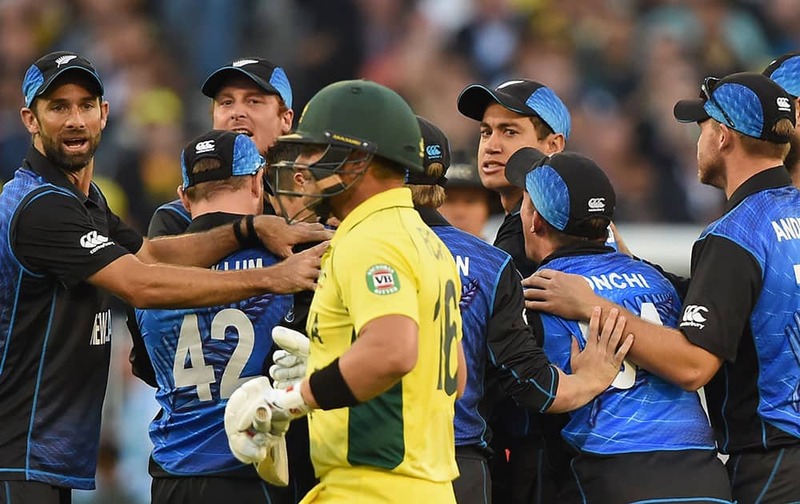 Australian players congratulate teammate Mitchell Starc, 56, after taking the wicket of New Zealand wicketkeeper Luke Ronchi for no score during the Cricket World Cup final in Melbourne, Australia. 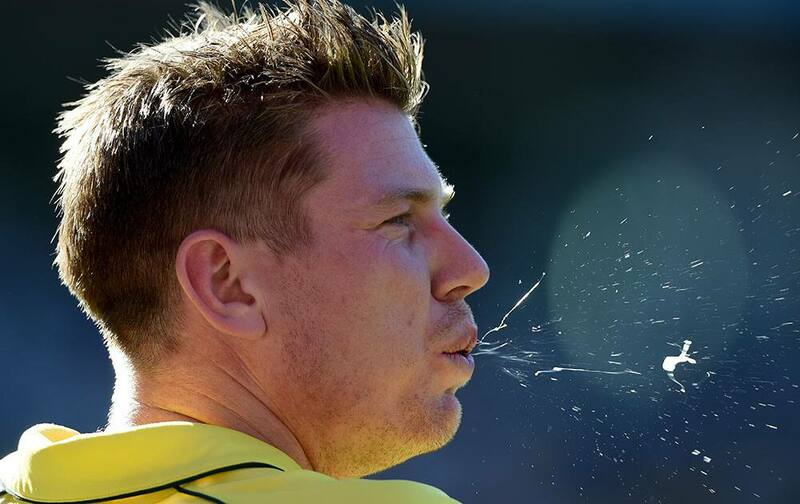 Australia's James Faulkner spits while fielding during the Cricket World Cup final against New Zealand in Melbourne, Australia. New Zealand’s Grant Elliott and Ross Taylor, right, watch a video review during the Cricket World Cup final against Australia in Melbourne, Australia. 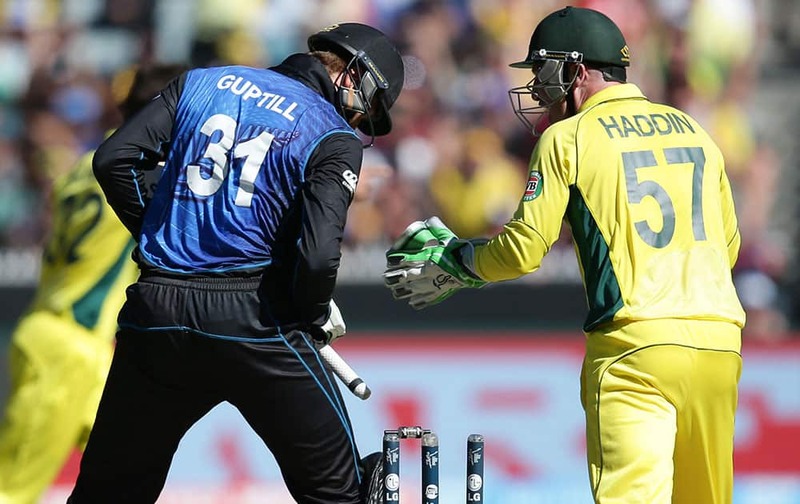 New Zealand’s Martin Guptill, left, looks down after he was bowled as Australia's wicketkeeper Brad Haddin celebrates during the Cricket World Cup final in Melbourne, Australia. 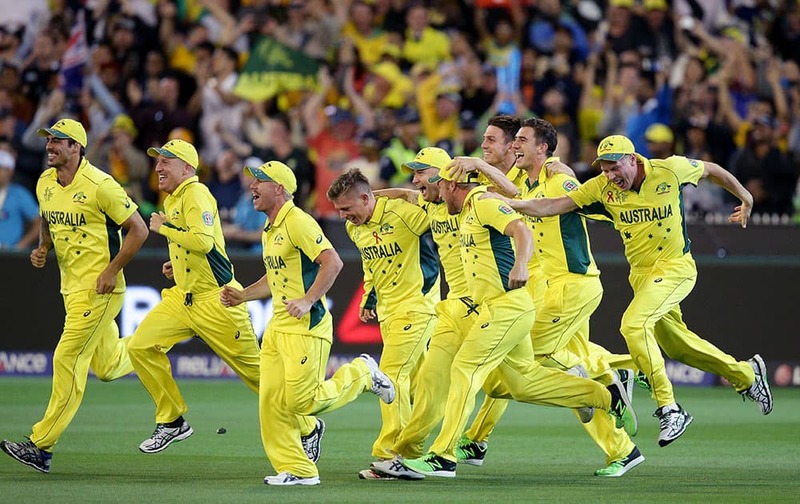 Australian players celebrate after taking the wicket of New Zealand’s Martin Guptill, left, during the Cricket World Cup final in Melbourne, Australia. New Zealand’s Kane Williamson avoids a bouncer while batting against Australia during the Cricket World Cup final in Melbourne, Australia. 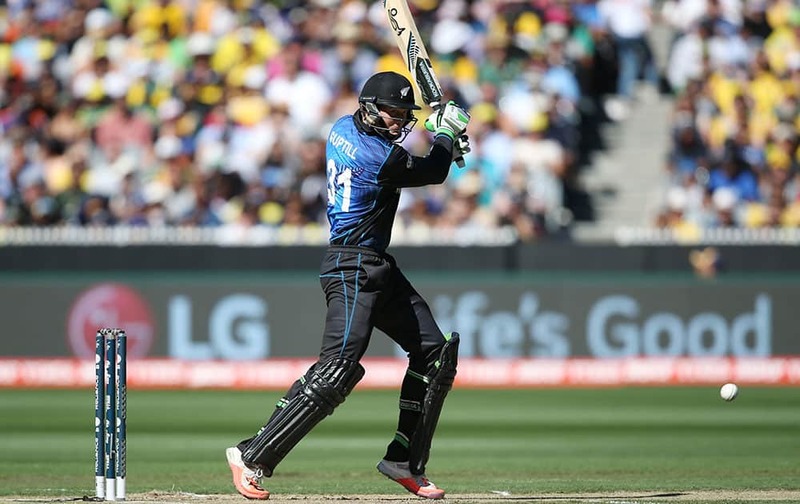 New Zealand’s Martin Guptill plays a shot while batting against Australia during the Cricket World Cup final in Melbourne, Australia. 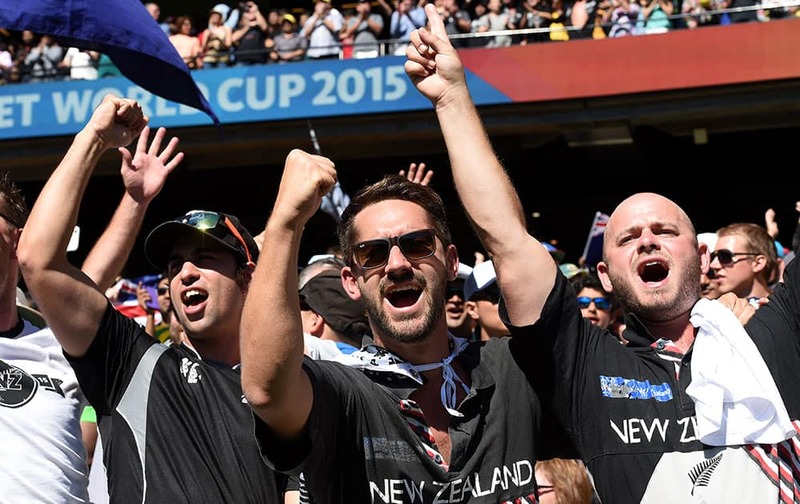 New Zealand fans cheer on their team during the Cricket World Cup final against Australia in Melbourne, Australia. 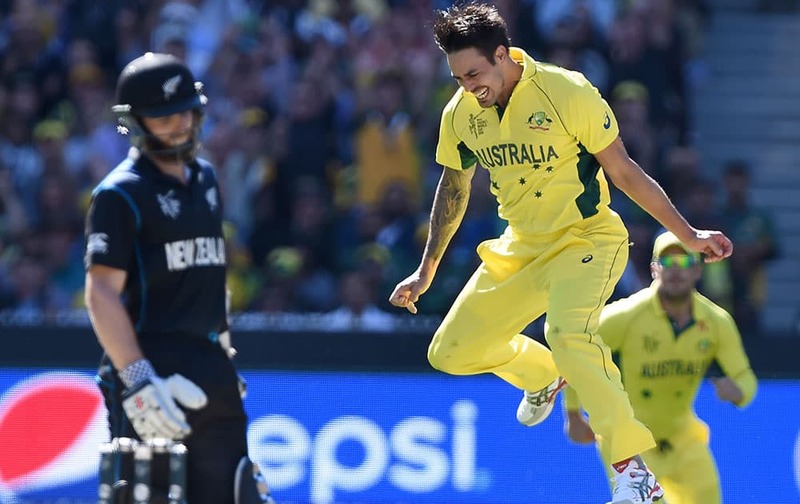 Australia's Mitchell Starc, left, celebrates with teammate Glenn Maxwell after taking the wicket of New Zealand captain Brendon McCullum for no score during the Cricket World Cup final in Melbourne, Australia. 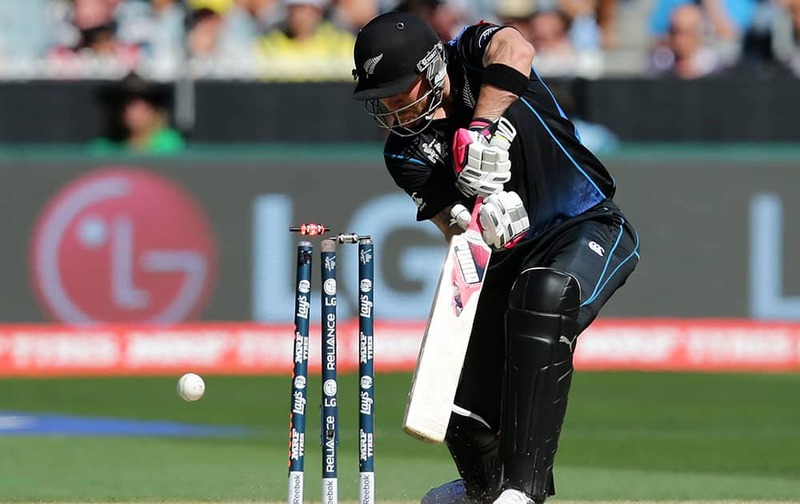 New Zealand captain Brendon McCullum is bowled for no score by Australia's Mitchell Starc during the Cricket World Cup final in Melbourne, Australia. 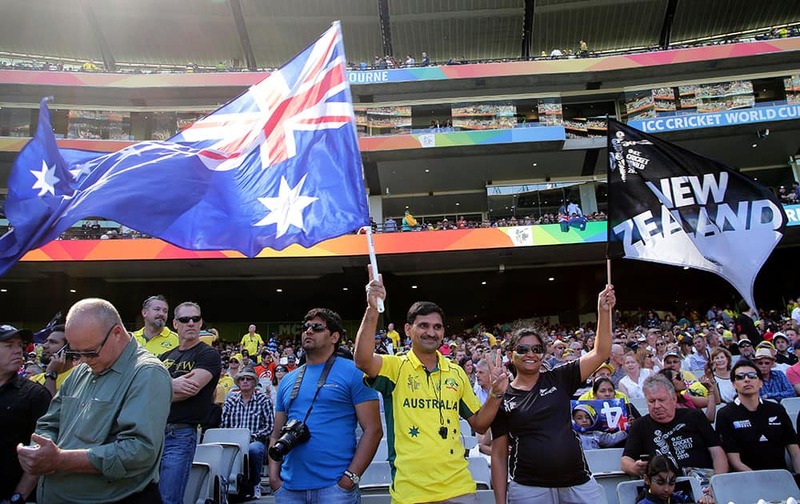 New Zealand and Australia supporters wave their flags ahead of the Cricket World Cup final in Melbourne, Australia.